Miho Okamoto is a florist based in Tokyo. 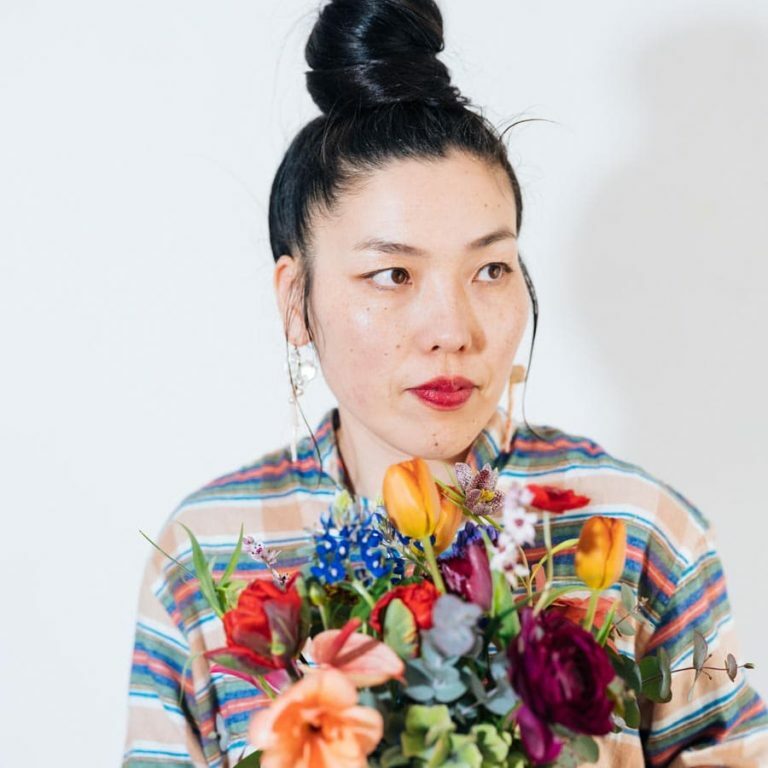 After graduating from MAMI Flower Design School, she gained experience through work at flower shop and an atelier specializing in wedding flowers and started her own floral business. In 2012 she moved to Paris and had worked under Mr. Georges François. After coming back to Japan, she resumed her business and opened an atelier in 2017. She specializes in bringing out the uniqueness and beauty of plants and flowers. Now widely active as a flower artist designing flowers for gifts, styling for photo shooting and parties.